Nature today is not only something grown but also something built. In a number of projects by Krueger & Pardeller nature was constituted not only as a natural but also as an artificial element. Architectural space is constituted by natural elements as well as by classical architectural means. Artificiality and the techniques of reproduction make it possible that nature and vegetation – originally bound to the ground – can be liberated of that idea and can also be used as vertical constituent elements. 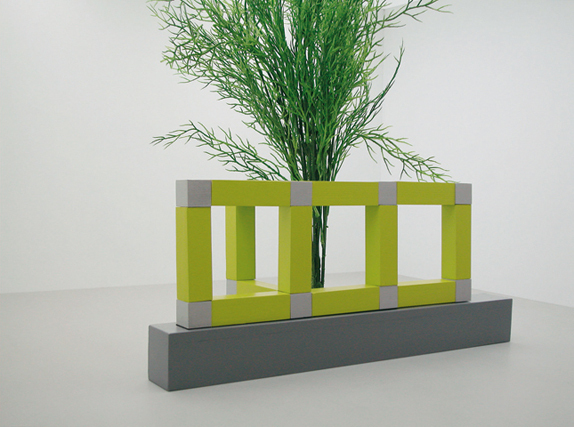 Using artificial plants enhances the sculptural character of the objects.